Think tours that tipple are solely for summer? 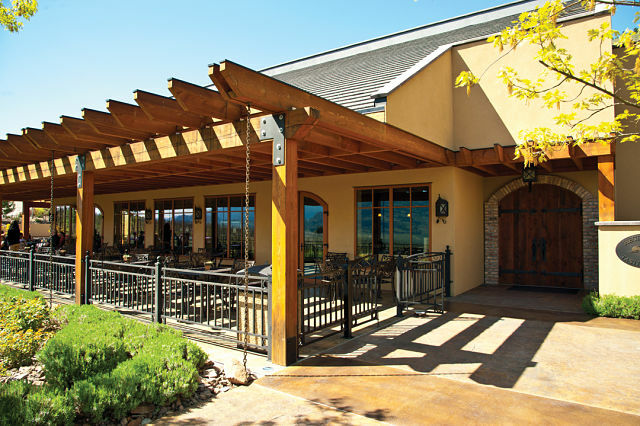 Not so at these Okanagan Valley wineries open year-round for wine tastings. Take your pick or start your journey north to south, and take them all in. Quails' Gate keeps it in the family — the Stewart family, that is. 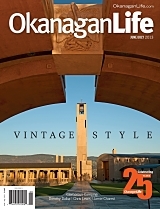 In 1956, it was Richard Stewart that recognized the potential of the Kelowna-area landscape; ingenious intuition that has paid off with winning reds and whites. Take in the changing seasons and explore the grounds, making sure to peek in Allison House, the first settlement house built in 1873, and the oldest home in the West Kelowna area. Still curious? Spend time at the tasting bar in the Wine Shop and learn more about the family's rare varietals, including Old Vines Foch and Chenin Blanc (you can sample additional vintages over lunch at Old Vines Restaurant). Will you tuck a bottle of Merlot into your bag or covet the Stewart Family Reserve Chardonnay instead? Decisions, decisions. Speaking of tasting rooms, Sumac Ridge unveiled their brand new space in May of this year — an offering that blends seamlessly with time-honoured tradition that began in 1981. Set in Summerland, Sumac Ridge excels in red and white production in equal measures, but it is the burgundy-hued blends, with grapes grown on the Black Sage Bench, that are cause for pause. Sample for yourself in the winery's new space, and don't miss a tour of the Steller's Jay Brut Sparkling Cave to toast and taste the winery's bubbly legend, the perfect glass to commemorate your cool-climate visit to this gem of a winery. Further south in Penticton, Poplar Grove Winery holds the distinction as one of five original wineries to set up shop along the province's Naramata Bench, and for nearly 20 years, this ground-breaking team has never wavered in its dedication to crafting premium wines that deliciously reflect the Okanagan Valley's distinctive terroir. Chardonnay, Pinot Gris, Merlot, Cabernet Franc and their own signature blend, The Legacy, round out the offerings here, each showcasing the gamut of flavours to be savoured year round. For a sip, be sure to stop in at their airy, modern tasting room overlooking Okanagan Lake, and soak in the views that inspire in every season. Oliver's Hester Creek Estate Winery has roots that run deep in this southern stretch of BC wine country; the area is home to some of the oldest vines in the valley, dating back to 1968. 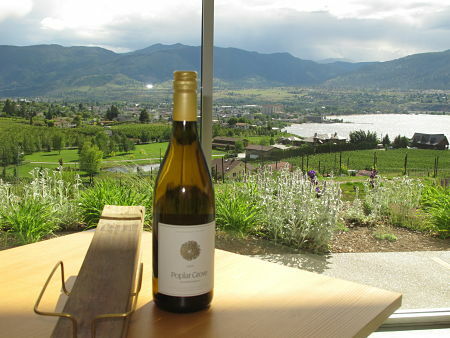 Set against desert bluffs on the Golden Mile Bench, Hester Creek boasts some impressive views, too, proving a striking locale to delve into history, all while sipping choice vintages, including the only single-varietal Trebbiano in the Okanagan. Should you wish to linger, pull up a chair for lunch at Terrafina restaurant or opt instead to overnight at the winery's Mediterranean-inspired suites at the Villa, overlooking the vineyard. Each luxurious room makes it easy to immerse wholly in this escape, especially when a delicious, locally sourced breakfast is delivered at sunrise to your door. For a final stop, head to Nk'Mip Cellars, Canada's first Aboriginal-owned-and-operated winery, further south in Osoyoos. Here, ripe reds like Syrah, Merlot and Cabernet Sauvignon all benefit from the intense heat in Canada's only pocket desert, each vintage under the watchful eye of senior winemaker, Randy Picton. Beyond the tasting room, this distinctive landscape may encourage you to explore farther afield, namely at the desert interpretive and heritage centre across the way, where the area's rare and diverse plant and animal species are put on grand display.